The Seattle Mariners, known to Seattle locals as “The M’s,” were enfranchised in 1977 and played at the Kingdome until the opening of Safeco Field in 1999. The M’s won their first division championship in 1995 when they defeated the New York Yankees in the American League Divisional Series. The ALDS win came in Game 5 of the series and is remembered as one of the most iconic games in Mariner history. Down one run in the bottom of the 11th inning, Edgar Martinez lined a double down the third base line to bring in Joey Cora and Ken Griffey Jr. in dramatic fashion to give the Mariners the 6-5 victory. In addition to winning three West Division titles (1995, 1997, and 2000), the Mariners have also set the American League record for most wins in a single season with 116 wins in 2001. This feat tied the 1906 Chicago Cubs for the MLB record for most wins in a single season. 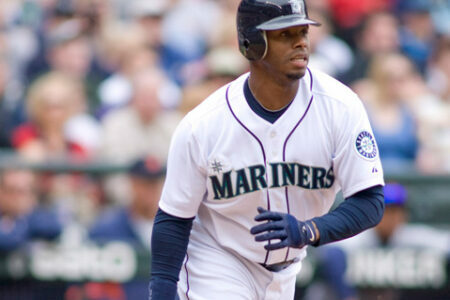 The Mariners have inducted 7 players, an announcer and manager into their Hall of Fame: Alvin Davis, first baseman, inducted in 1997; Dave Niehaus, announcer, inducted in 2000; Jay Buhner, outfielder, inducted in 2004; Edgar Martinez, third baseman and designated hitter, inducted in 2007; Randy Johnson, left-handed pitcher, inducted in 2012; Dan Wilson, catcher, inducted in 2012; Ken Griffey, Jr., outfielder, inducted in 2013; Lou Piniella, manager, inducted in 2014; and Jamie Moyer, left-handed pitcher, inducted in 2015. Known to Seattle locals as “The Safe,” Safeco Field was commissioned in 1997 and opened in July of 1999. Built close to downtown Seattle, Safeco was architected to showcase Seattle’s best features, the downtown Seattle skyline and Puget Sound. To accommodate for Seattle weather, the park was built with a retractable roof to allow for a real grass stadium without the fear of games being rained out. 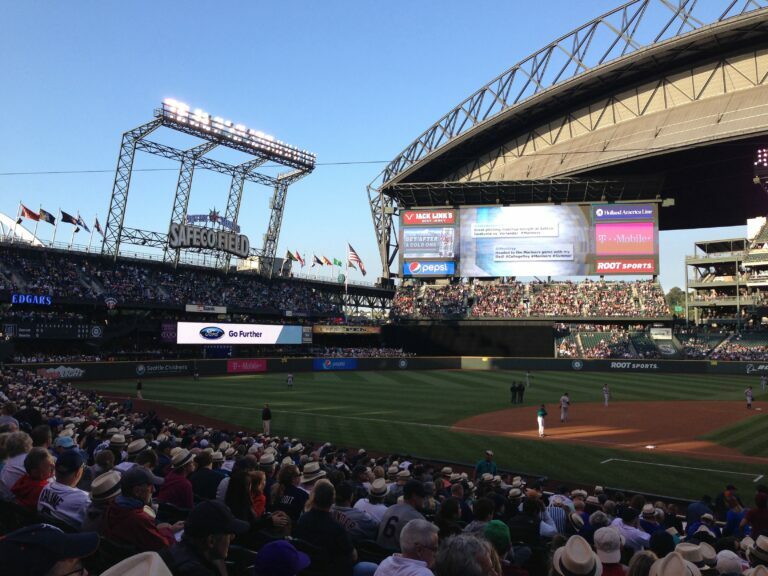 Currently one of six MLB ballparks to have a retractable roof, Safeco’s roof can open and close in just 10-20 minutes. Safeco currently ranks eighth in MLB ballpark capacity with the ability to accommodate 47,574 baseball fans, and had more than three million fans attend Mariner games in 1997, 2000, 2001, 2002, and 2003.